The choir’s first album “Voices from Heaven” went on to reach the No. 1 spot on Billboard’s World Music Chart within three weeks of its release in the US. Since then, they have recorded five albums and won two Grammy Awards in the World Music category, an Emmy Award for their collaboration with U2 for ESPN’s television promotion of the 2010 FIFA World Cup, received four SAMAs and a Metro FM award. In 2010, the choir’s recording with Peter Gabriel was nominated for an Oscar, and that same year, they were the first South African artist to have performed at the Academy Awards. The choir has toured the world extensively, performing at prestigious venues like Carnegie Hall, Sydney Opera House, London’s Royal Festival Hall, as well as at Johannesburg’s Nelson Mandela Theatre. They have performed and collaborated with world-renowned artists such as Celine Dion, Josh Groban, Jon Legend, U2, Aretha Franklin and the Harlem Gospel Choir as well as with local favourites Vusi Mahlasela, Johnny Clegg, the Bala Brothers and Lira. They have performed for dignitaries Nelson Mandela, Archbishop Emeritus Desmond Tutu President Bill Clinton, Prince Charles, Princess Charlene of Monacco and Oprah. 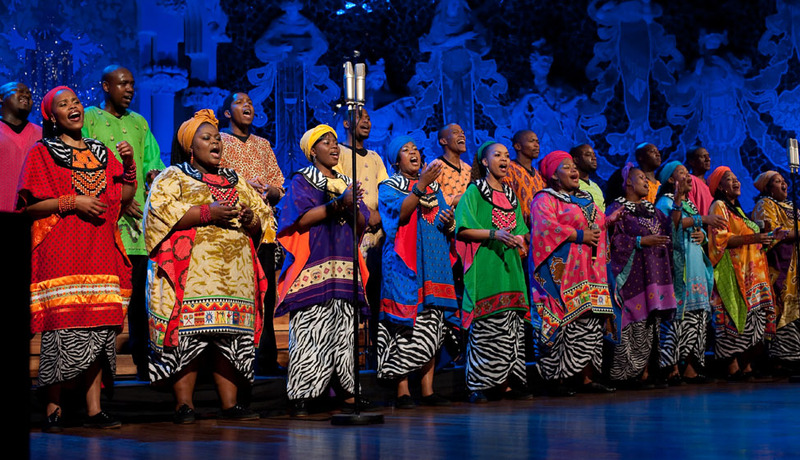 In 2003, Soweto Gospel Choir formed its own charity foundation Nkosi’s Haven Vukani which supports AIDS orphans organisations that receive little or no funding. They are Ambassadors for 46664, 1Goal, SHOUT and are United Nations’ MDG Envoys for Africa.